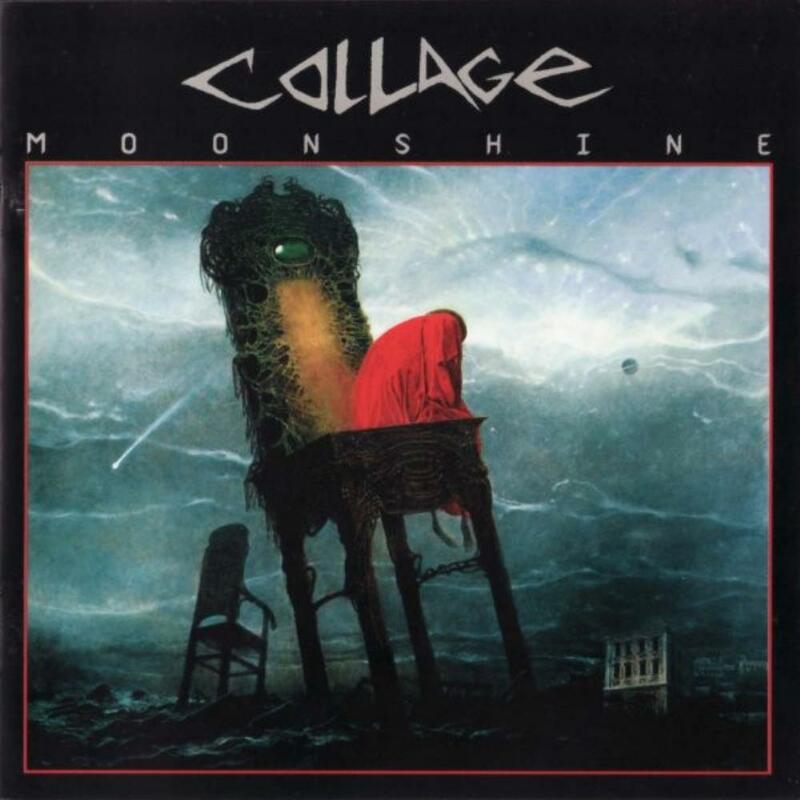 MOONSHINE, a 1994 release from Polish group Collage, serves up a generous slice of latter-day symphonic progressive rock (or "neo-prog") that, while puffed up with grandiose bombast, is less than fully satisfying in terms of musical "meat" or originality. As fellow reviewer Maani has noted before me, the band's chief inspirational antecedents are easily identified as WIND AND WUTHERING-era Genesis (and, by extension, mid-80s Marillion). For this Genesis fan, that's a rich wellspring to draw upon, but I could wish that Collage had been less obvious about it, just the same. Don't get me wrong -- there is some lovely, powerful stuff here, and it is all very well performed. Singer Robert Amirian has a fine, impassioned voice, and delivers the English lyrics without too much of a distracting accent. The synths, piano and drums are quite good, and equally able to convey moments of power or delicate beauty, while the lead guitar of Mirik Gil is soaring and soulful, and highly reminiscent of that of the master, Steve Hackett. Yes, this is good 90s prog, and it's worth multiple hearings, but the older progressive rock fan will not be able to ignore a strong sense of deja vu when listening to this rather derivative material. Still, as Genesis had long since left true progressive rock in the echoing halls of memory by this time, the more tolerant and devoted prog fan who craves a new "fix," should enjoy this. Just don't expect a brand new high from Collage -- you'll likely "get off," but, if you're a long-term progger, you've been on this trip before. Overall then, in terms of material and musicianship, MOONSHINE would merit four stars, but when the lack of originality is factored in, the final "mark" must be lowered to three stars -- good, but certainly not essential. If you like Genesis-flavoured acts like Marillion and IQ, you should enjoy this. The recipe is widely available, but try a taste anyway.